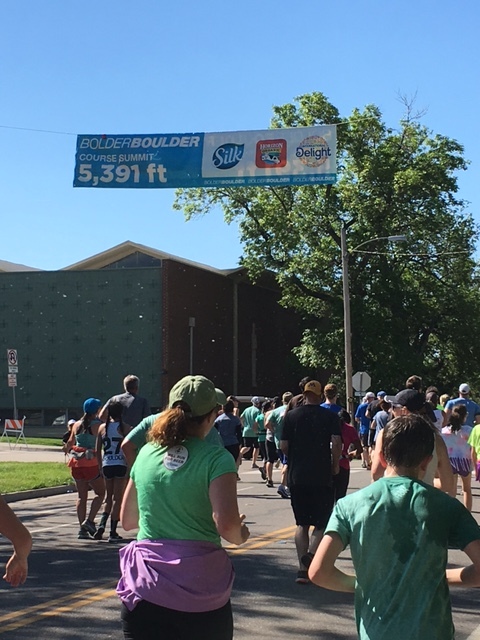 Hailed as “America’s All-Time Best 10k,” the BolderBOULDER regularly draws in 50,000+ participants and 100,000+ spectators. 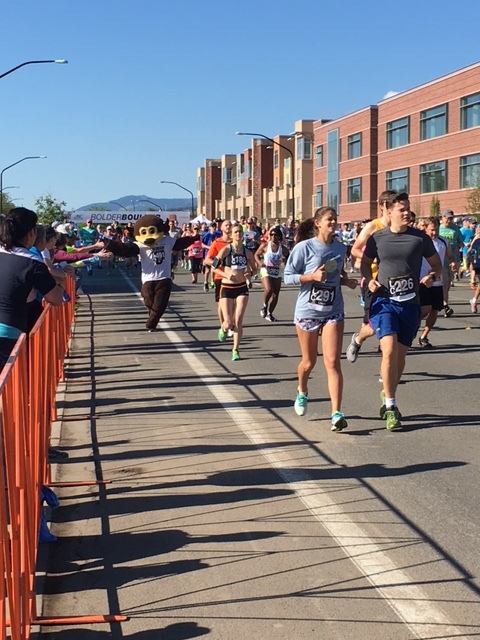 Walkers, joggers, runners, and pros come from around the nation and the globe to participate in the Memorial Day festivities that wind through downtown Boulder and end with a spectacular celebration in the football stadium, with cheering crowds packed in along the entire course. Course: The course itself poses ample challenges, but it is not a race to be undertaken seriously. There are several small hills throughout the course, with noticeable inclines at mile 4 and at the very finish as you come into the stadium. Train for the altitude if you can because the course maxes out at just over 5,300 feet. Additionally, it will likely be the longest 10k you’ll ever run. Between weaving around other participants and cutting across the course to make it to the slip-n-slides and drink stations, you’ll run well over 6.2 miles. However, they will also be the funnest 6.2+ miles! Bands, belly dance troupes, bag pipers, pools, and trampolines are only a handful of the entertainment that packs the course. 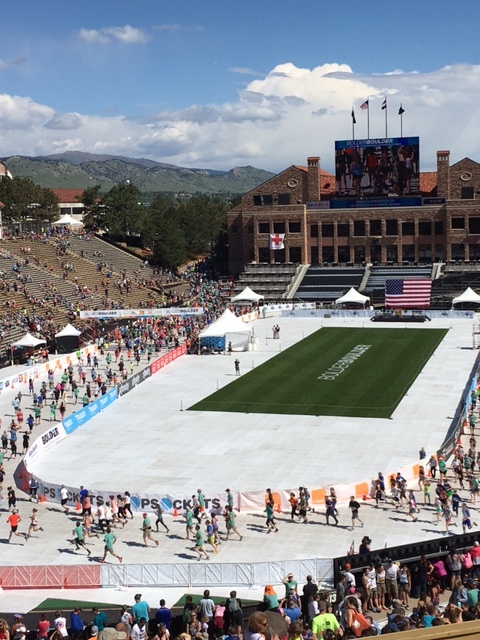 The BolderBOULDER is non-stop fun. Aid: Official aid consists of 2 (or was it 3? Probably 3) aid stations throughout the course. Unofficial aid is the tastiest part of the race. To be expected: bacon, cupcakes, Doritos, beer, shots of alcohol, and plenty of other junk food. In the many years I’ve done this race, I’ve seen keg stands, tequila shots, a make-your-own mimosa station, and coffee stops. Atmosphere: Did I mention yet that this race is fun? I can’t think of a better word for it! Not only are the participants in the mood for a good time (as evidenced by the stunning array of costumes, capes, onesies, and tutus), but the spectators are as well. Good times had by all!! Organization: 2017 marks the 39th running of the BolderBOULDER, and the seamless logistics prove it! Packet pickup must be done in advance (or packets can also be mailed), there are plenty of shuttles to transport people to and from Boulder, and the finish area is clearly labelled and easily navigated (aside from being packed with 50,000+ smelly runners). Everything occurs on schedule, from the precisely timed wave starts, to the start of the elite races, to clearing the course to give the elite runners access to the stadium. One difficulty I found though was that the med tent is immediately across the finish line, and the finish chute comes after. When I was looking for sunscreen (so I could sit in the stadium for 2 hours after finishing to watch the elite race and Memorial Day tribute), I couldn’t find any because I couldn’t quite make my way back to the med tent. Spectators: Phenomenal! They are as much a part of the BolderBOULDER as everything else integral to the race. They bring enthusiasm and good spirits, offer unofficial nutrition and entertainment, and contribute to the level of fun had by all. 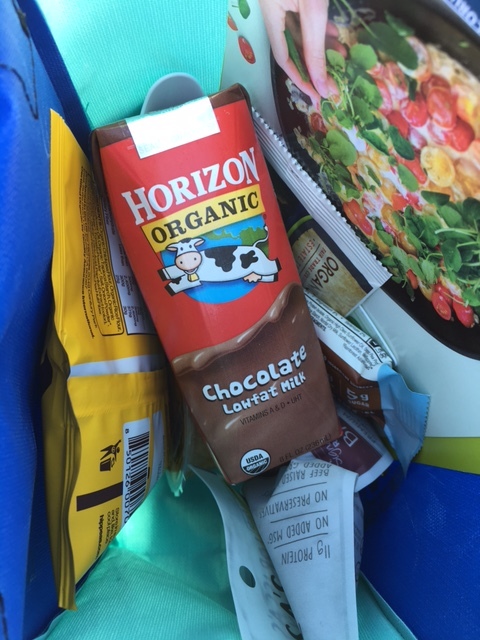 Swag: Chocolate milk at the finish line!! Nothing else matters. Well, I guess it matters for other people. The finish chute funnels runners through a series of stops for a “goodie bag” (lunch tote pre-packed with your post-race snacks), soda, and beer. Race shirts come with the price of registration (higher price for fancier shirts, or more shirts), and you can choose among a t-shirt, technical running shirt, or long-sleeved shirt (or all three!) which are super comfy with consistently fantastic designs. No medals, just the reward of knowing you ran America’s All-Time Best 10k. Recommended for: Everyone! Especially people looking for an easy or fun 10k – this one has plenty of built-in breaks to let you catch your breath and keep your energy up! The enthusiastic (and non-stop) spectators also add to the mix.